The Remington 700 is such a staple among North American hunters that a cottage industry of adapting them into custom rifles has developed over the past decades. These rifles often mate a 700 action with a match barrel, a McMillan stock, an aftermarket trigger, and a Cerakote finish on the metalwork. With the release of the Model 700 American Wilderness Rifle (AWR), much of the work traditionally provided by small custom builders has already been done at the factory — at a price few can beat. The AWR is currently offered in six chamberings from .270 Winchester to .338 Remington Ultra Magnum. We chose .270 Winchester for the test rifle, which provided a magazine capacity of four rounds and a barrel length of 24 inches. The rifle tipped the scales at just under eight pounds, thanks to its sporter contour barrel, and balanced extremely well. With a scope, mounts, and sling, this rifle weighed 10 pounds. Ultralight rifles have become extremely popular and have a place in a hunter’s arsenal, but my preference for most hunting situations is a rifle that is sufficiently heavy to shoot in field positions but light enough to carry in steep terrain. In other words, a rifle like this one. The reason so many custom makers choose the Remington 700 as a basis for their creations is its inherent accuracy, and it is worth noting that nearly every precision custom action on the market is a 700 clone. Because the action is tubular, it is simple to produce in a precise manner. I have owned and shot dozens of 700s over the past twenty-some years, and nearly all have been accurate, some astonishingly so. The 700 design is also strong and provides a margin of safety if a cartridge case ruptures, which does happen in the real world. Many of the synthetic stocks provided with factory rifles these days are, forgive the expression, junk. Conversely, the Grayboe Outlander fiberglass stock that comes standard on the AWR is a quality component. Grayboe stocks are made by McMillan and are well designed, rigid, and extremely durable. This classic sporter-style stock has minimal drop, and it has no cheekpiece or cast, it’s ambidextrous. Length of pull is 13.5 inches. This stock is equipped with aluminum pillars but is not glass-bedded to the action. It is painted with a durable brown epoxy with a textured nonslip finish and attractive black webbing. Non-magnum AWRs wear 24-inch stainless-steel barrels. Our .270 used a standard 1:10-inch twist, and all AWR barrels feature 5R rifling, which was designed by barrel-making legend Barrett “Boots” Obermeyer with the goal of inducing less deformation on bullets as they pass through the bore. As the name suggests, 5R-rifled barrels use five grooves, and the shape of the lands are less aggressive than traditional barrels. In theory, 5R-rifled barrels will collect less copper fouling than others and provide a better gas seal on the bullet. The harsh environments in which many of us hunt have made weather-resistant metal finishes popular. Cerakote has quickly risen to the top of a crowded field of finishes; it’s a spray-on ceramic product that is resistant to corrosion, chemicals, and abrasion. The entire barreled action of the 700 AWR is coated in matte black Cerakote. Add the fact that the underlying barrel material is stainless steel and you have a package that is ready for just about any weather that Mother Nature can throw at it. The reason aftermarket triggers are so popular is because most factory rifles have trigger pulls that leave much to be desired. The AWR comes with Remington’s adjustable X-Mark Pro single-stage trigger. The trigger on the test rifle broke at five pounds, 14 ounces out of the box, but we were able to adjust it to just under five pounds using the single hex screw visible on the trigger blade. The trigger broke with no noticeable creep but, even adjusted, was heavier than I like to use on my personal hunting rifles. If the rifle were mine, a drop-in trigger from Timney or TriggerTech would be in the mail. We mounted a Leica 2.4-16x56mm Magnus scope with Leupold mounts and headed to the range. To zero the rifle and fire some initial groups, I used 130-grain Remington Pointed Soft Points. The accuracy wasn’t what I’ve come to expect out of 700s, so I reached for Remington’s HTP Copper 130-grain TSX load that every rifle seems to love. Three-shot groups instantly shrank to sub-MOA and hovered around the 0.75-inch mark. 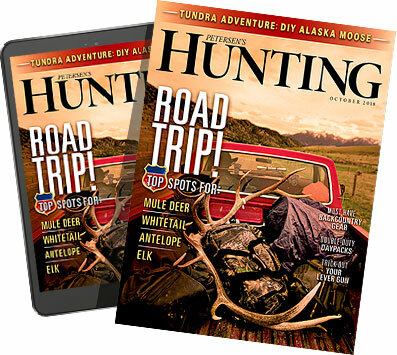 The Hornady Precision 145-grain ELD-X load shot right at 1 MOA and showed signs that the rifle would benefit from some glass-bedding at the recoil lug and tang area, a job that a handy hobbyist could accomplish quickly. The rifle fed, fired, ejected, and otherwise functioned with 100-percent reliability. Pushing aside the fads of the moment, this is the type of rifle that will handle 95 percent of what the hunting world has to offer. Depending on the chambering, the AWR is about right for almost any game animal that walks the earth, and its features, accuracy, and function mean that it will get the job done when the moment arrives. Your experiences may vary, but when I have to make a tricky shot under tight time constraints in a hasty field position, I don’t want a four-pound rifle. 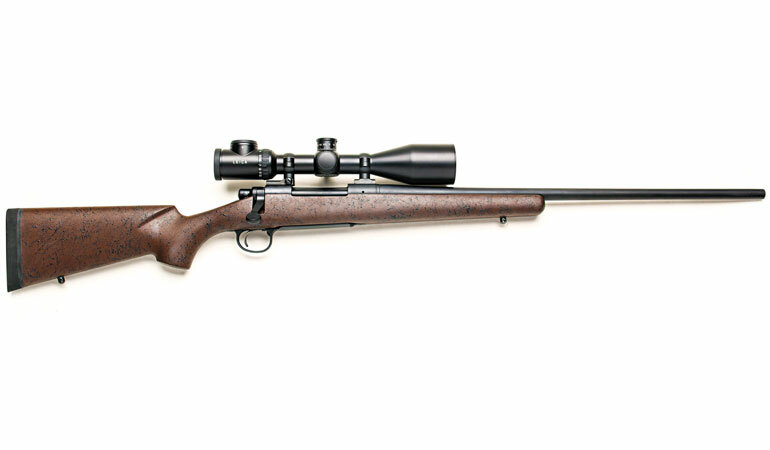 The sporting rifle has evolved over centuries to look and act like the 700 AWR for good reason. The 700 AWR has a street price of just under $1,000 and includes many of the same features that you’ll find on custom rifles selling for triple that amount. It is accurate, durable, and built for real use afield. Remington is making its comeback, and it will be rifles like this one that will help pave the way.